The brand has a number of items including CC Cream and Lip Gloss but I opted for a moisturiser since really it's one of the most consistent things in my routine apart from facial wash. 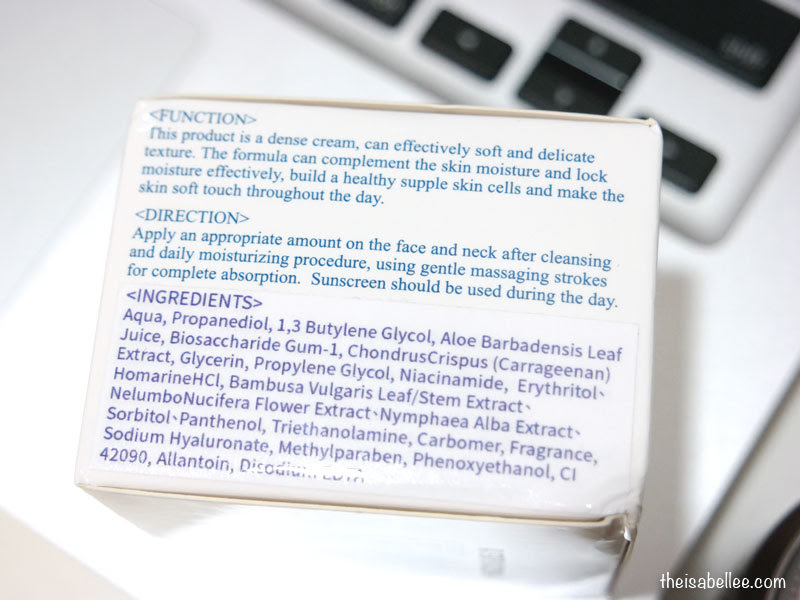 I can skip the rest but definitely not moisturiser with my dry skin! 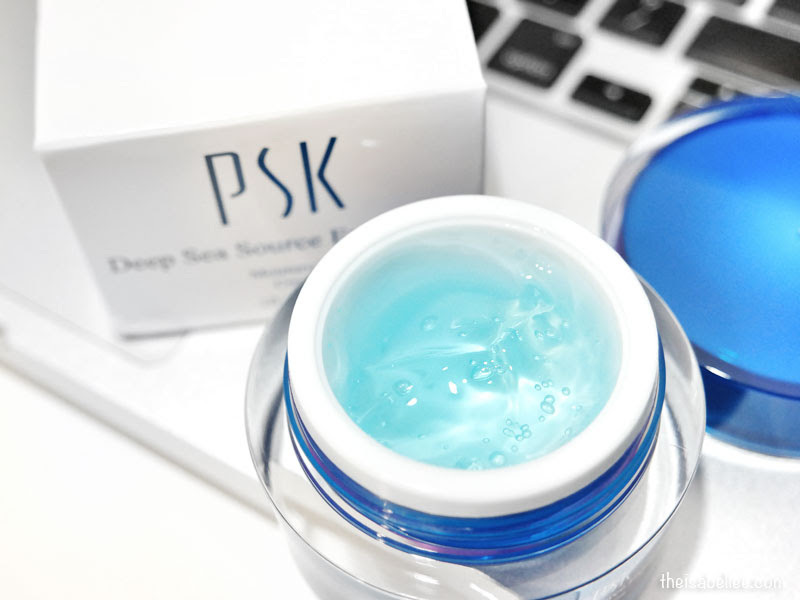 The description says.. "Come from the depth of the sea, bring forth natural moisturizing cream that give 24-hour skin moisturizing protection." Surprised to find that this moisturising 'cream' is actually a very light gel! I have dry skin but it's still moisturising enough for me, even at night. Due to it's light and comfortable texture, I highly recommend this for oily skin as well. If you're having trouble with skin that oils up easily or makeup that slides around, you can give this a try. 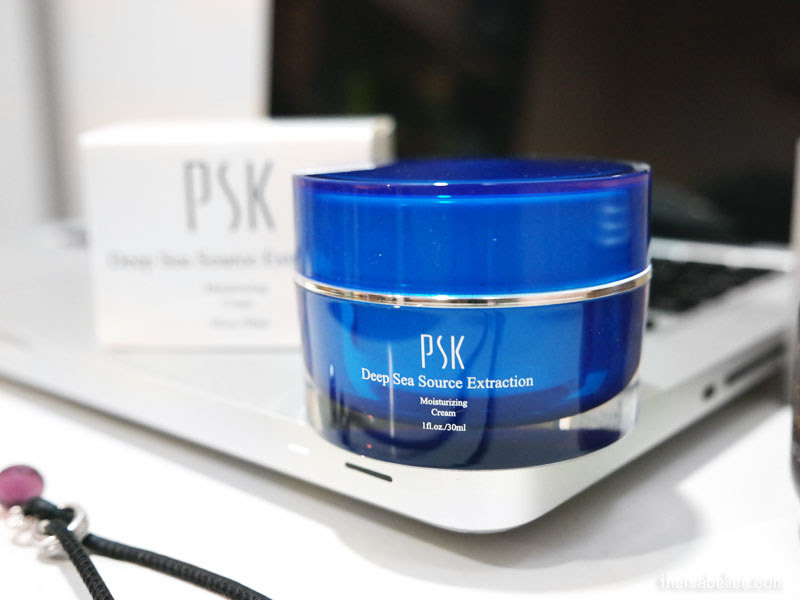 Product is very quick to absorb and requires just a tiny bit of massaging in. It's strangely a bit cooling when applied. If you have used aloe vera gel, this feels the same minus the stickiness and smell that comes with certain brands. Well, it DOES contain aloe vera gel after all.. 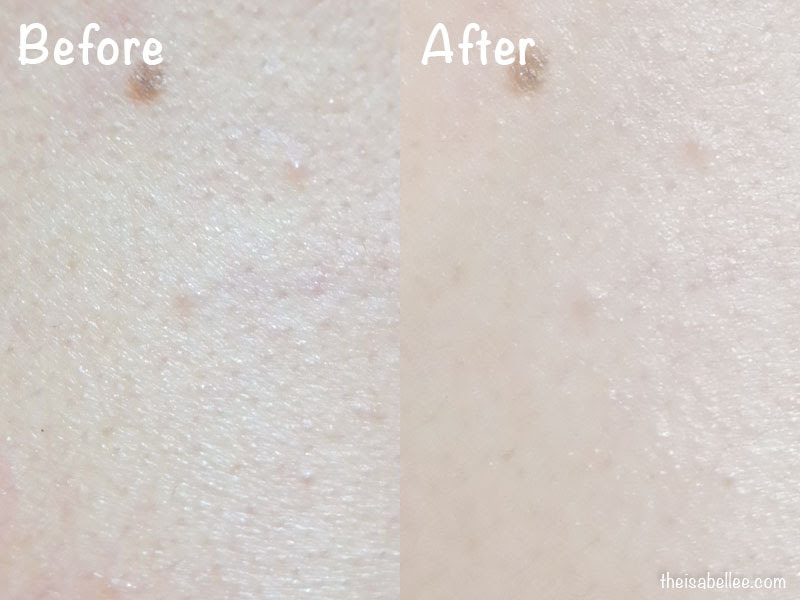 I took some before and after shots to see the comparison. I had just finished washing my face and scrubbed so my skin was particularly dry and irritated. 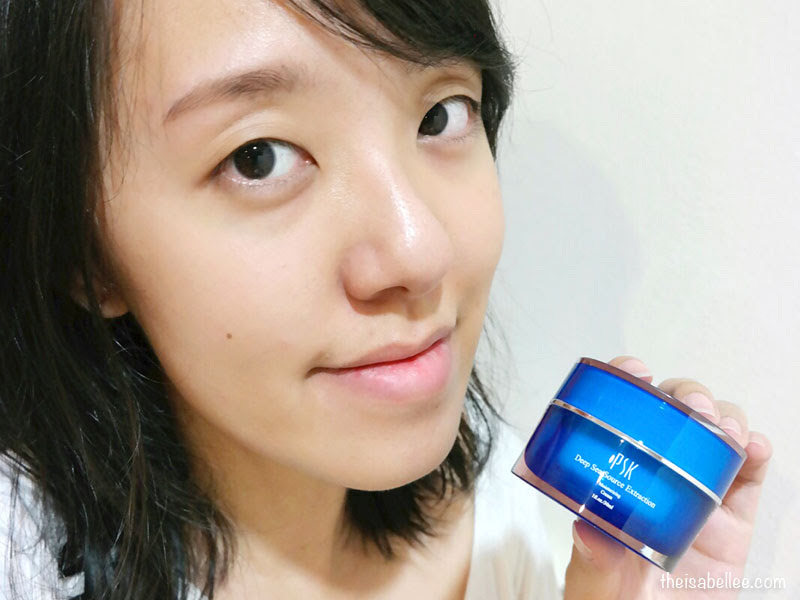 The product immediately soothed my skin and pumped hydration into it.